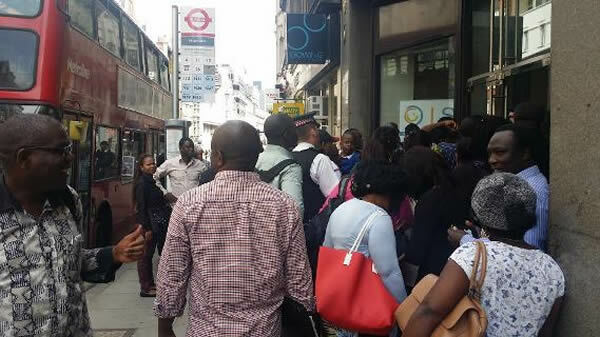 A cross section of Nigerians in Europe on Friday expressed disappointment over the decision of the UK in a referendum to leave the European Union. Results released early on Friday by UK authorities indicated that 17, 410,742 Britons voted to leave EU, while 16,141,241 others voted to remain. The Leave campaigners won by 52 per cent to 48 per cent with England and Wales voting strongly for Brexit, while London, Scotland and Northern Ireland backed staying in the EU. In telephone interviews with the Europe Correspondent of the News Agency of Nigeria some Nigerians described the outcome of the referendum as a catastrophe for ethnic minorities in Europe. Mr Raymond Aste, a lawyer and political analyst in London, said those who voted in favour of Brexit (Britain Exit) did so emotionally in line with their individual opinion on what a Leave EU vote meant. Aste said, “I can understand concerns by the white supremacist to stem the flow of immigrants into their country. “But for the immigrant communities, it beats me as to how they considered voting to leave the EU. Similarly, Dr John Duniya, who resides in Scotland, said the Leave EU outcome meant ethnic minorities would not have protection of EU laws, especially on human rights issues. “Being under the EU meant we had some kind of protection under certain laws but with this development the UK will be in full control of its system without interference from the EU. “Secondly, the argument put forward by the Leave campaigners on immigration control and better welfare for commonwealth citizens is just a deceit. “I bet you, their idea of commonwealth means Australia and Canada, not Nigeria, Ghana , India and Pakistan. In the same vein, Mrs Yetunde Olivier, a member of Nigerians in Diaspora Organisation, France, said “this is bad for Europe. “Britain should have pushed for renegotiation in areas it is not comfortable with rather than seek for exit. “This is not only about immigration, it is about trade, currency, law and, above all, supremacy. “I hope at the long run Nigerians and others would not be kicked out of the UK,” she stressed. Some Nigerians, who spoke to NAN from Switzerland, stressed the need for Nigerians in diaspora to start considering going back home. Mr Uche Obiano, a systems analyst, said “all this fear about uncertainty in the UK can be addressed if we start considering going back to our fatherland. Obiano said, “If Europeans developed Europe themselves we can also go back home and contribute to nation building. “The so-called opportunities ethnic minorities in the UK think they will benefit from after Brexit are not jobs their people want. “Britons do not do cleaning, care-giving or security jobs, these can be very tasking and degrading but at the same time immigrants are seeking these jobs for survival. Similarly, politicians from France, Germany, Belgium, among others have expressed concern over the EU’s economy and future without Britain. Some anti- immigration politicians in Europe have lauded the move and recommended the same step for their countries. The Brexit referendum which held on Thursday was described by UK authorities as historic with a record number of more than 30 million voters -the highest turnout at a UK election since 1992 – participating.